You will drive forward a £6.7 million programme of interconnected, innovative creative industry, cultural and heritage initiatives. You will work with a range of regional partners who were successful in securing investment from the DCMS Cultural Development Fund. The programme is part of the wider vision for Thames Estuary Production Corridor led by South East Creative Economy Network (SECEN) and the Greater London Authority (GLA) which aims to make the Estuary a world class creative cluster. You will manage productive stakeholder relationships, including project partners, funders and a diverse range of public, voluntary and commercial partners and have a proven track record of developing and managing high profile regeneration or cultural projects in a complex environment. You will ensure culture and creativity are at the heart of all elements of the project and that the work delivers genuinely positive impacts for local communities. Clear, robust financial management will be essential as will be effective management of governance and evaluation. As Project Manager you will unite this inspirational programme of work. Above all your role will be to inspire all partners and stakeholders to work together, maximising the economic creative and social impact of the programme to achieve a lasting legacy. You will have a proven track record of developing and managing high profile regeneration or cultural projects in a complex environment. You will also have experience of effectively working across a diverse range of public, voluntary, and commercial partners. 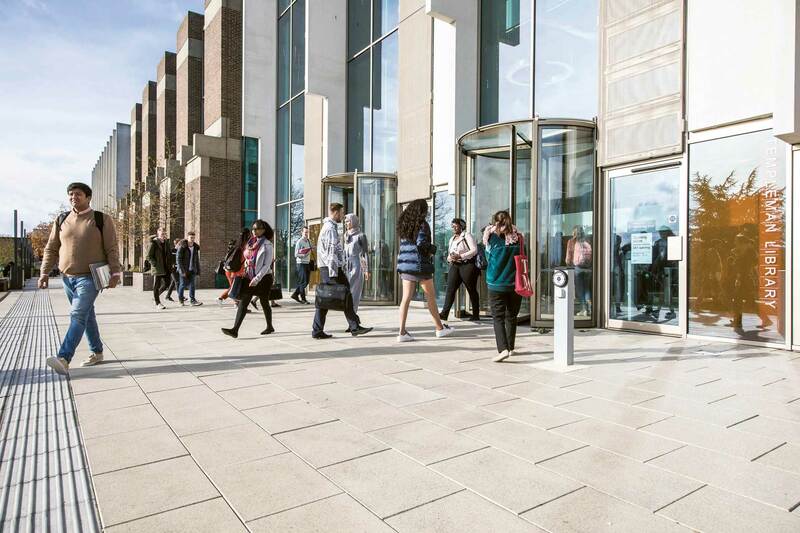 The Project Manager will be based at the University of Kent campus in Medway and will be expected to travel frequently across the South East. You will be required to fill in the main details section of the application form as well as upload your CV and a cover letter. Your cover letter should clearly and explicitly address the requirements of the Person Specification and you should provide clear evidence and examples in your application which back-up any assertions you make in relation to each criterion. We recommend a maximum of 4 x A4 sides for this document. You should provide clear evidence and examples demonstrating where you meet the criteria for the post. The fund aims to allow cities and towns to invest in creative, cultural and heritage initiatives that lead to culture-led economic growth and productivity. The fund is from the Department for Digital, Culture, Media and Sport (DCMS) with a total budget of £20 million available. Arts Council England are responsible for administering the fund which includes carrying out assessments, releasing payments and monitoring grants, but the decision on successful applicants was made by the Secretary of State for DCMS. Our bid builds on the ambitions for the Thames Estuary Production Corridor (TEPC) to develop one of Europe’s most integrated and productive creative regions. Commercial space is in high demand but short supply; 45000 creative Estuary residents work elsewhere. GVA is 20% below UK average; perceptions are of a post-industrial landscape and unloved urban centres. Our project addresses these challenges and will extend world-class creative innovation & production along the Estuary, investing in clusters, workforce, learning infrastructure & technology & delivering culture-led placemaking in one of the UK’s most deprived areas. Estuary 2020 will be an internationally significant, curated arts festival led by Metal and Whitstable Biennale. The festival will include new commissions and collaboration with business, innovators and education and is planned for September 2020. Support to develop the commissioning and producing capacity of Cultural organisation across TEPC from small scale grassroots commissions for emerging artists to large scale commissions around projects such as a new Digital festival in Medway. Key to the project is the development of producing capacity and experience. A programme of residencies, training, mentoring and creative bursaries will be offered. Develop a distinctive and consistent cultural identity for TEPC including an inaugural cultural tourism strategy for the Thames Estuary. Learning from international best practice such as Artscape, Toronto and Isle de Nantes we will develop a strategic model to identify and pool local authority assets to provide space for Cultural Production. This will include undertaking feasibility studies for new flexible creative lab facilities at Chatham Historic Dockyard and the scaling of operations at High House Production Park. Demonstrate new practice in the role that arts and culture can play in planning and placemaking. Three Cultural Co-Location Pilots are planned in Ebbsfleet, Purfleet and Basildon. This will include embedding arts and culture into the design and functioning of planned new facilities and public spaces; we will commission creative and cultural activity that brings local people together and gives them a voice in the process. There will be associated programme for upskilling cultural and creative industries practitioners to engage in the process. Develop a collective solution to challenges of delivering sector-led training and apprenticeships supporting a new generation of cultural leaders leaders for the Estuary – RE: Generation 2030. Building on the highly successful young cultural leadership and creative skills project – ART31 based at the Gulbenkian we will initiate a new model of Creative apprenticeships targeting young people aged 15-25 years supporting the SELEP skills strategy. We will pro-actively recruit in our most disengaged and disadvantaged areas. The project will tackle the challenges faces by small businesses and creative freelances in terms of capacity and financial support. Through a series of innovation labs led by The University of Kent and University of Essex we will bring together entrepreneurs, technologist, academics, students and leading professionals from sectors such as health/social care/ageing addressing contemporary Estuary issues. Each lab will focus on a specific cross-sector action research question. A series of connected sector summits will share learning from the labs and have a wider reach via live streamed and downloadable content. Please note - applications must be made via the University’s online application system. CVs or details sent directly to the department or via email cannot be considered.